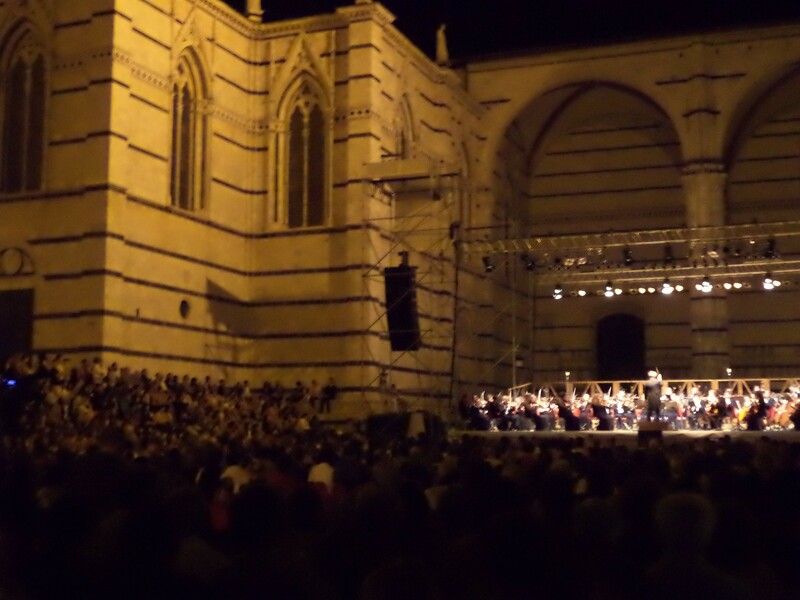 Music | Just Visit Siena ! Footsteps of St. Catherine . . .
Ogni mercoledi. . . . ! Party On per Siena 2019 ! Viva Sicilia in Siena ! Send an unique postcard ! One day in . . . Lucca ! Let’s say it . . . an autumn came to Siena. However lucky we, it is a very sunny autumn. Maybe this can be a good time for doing sightseeing in Tuscany. My suggestion for today is Lucca. 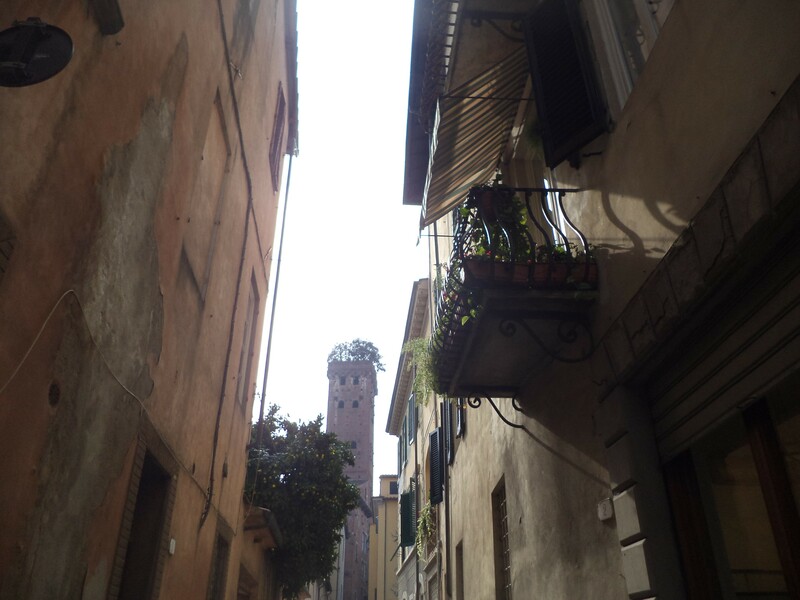 This so picturesque city is situated on the river Serchio in a fertile plain near the Tyrrhenian Sea. It is famous with Renaissance-era city walls (dated from the early 1500s) that will for sure attract your attention at the beginning. Do you know that the walls remained intact ? ! Now they are the best place to make a walk through a pathway surrounded by lots of trees and greenery. There are more than four kilometers of walls. 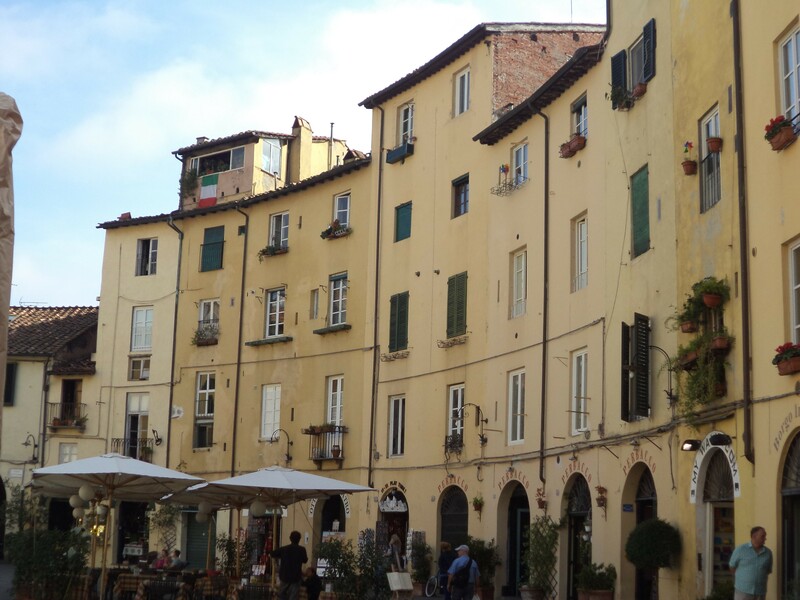 As every Tuscany city also Lucca has a big Piazza – Piazza dell’ Anfiteatro that was the site of a Roman amphitheater. Picturesque buildings all around were built during the middle ages. As you can easily guess it is a great place to take a break, relax and of course to drink a coffee. After this you can check many souvenirs shops. 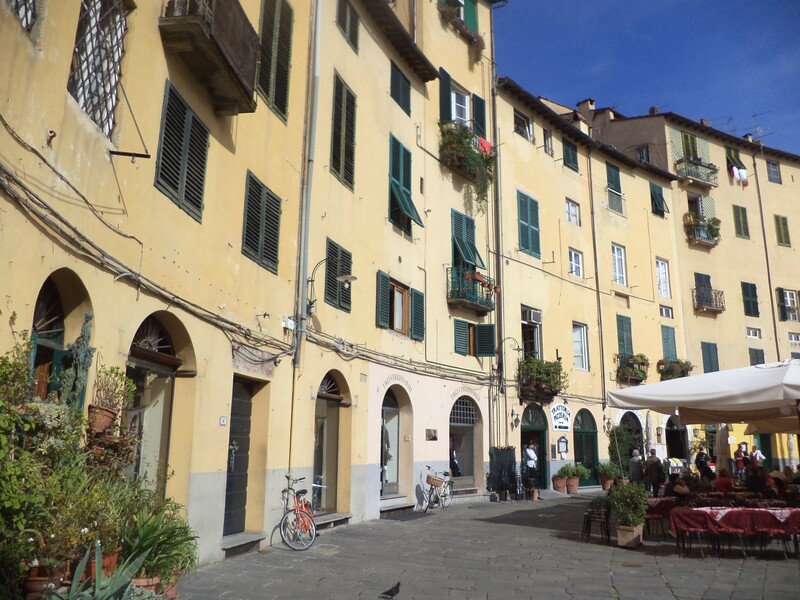 Don’t miss also Piazza Napoleone that is one of the biggest squares in Lucca and was designed by the sister of Napoleon in 1806. 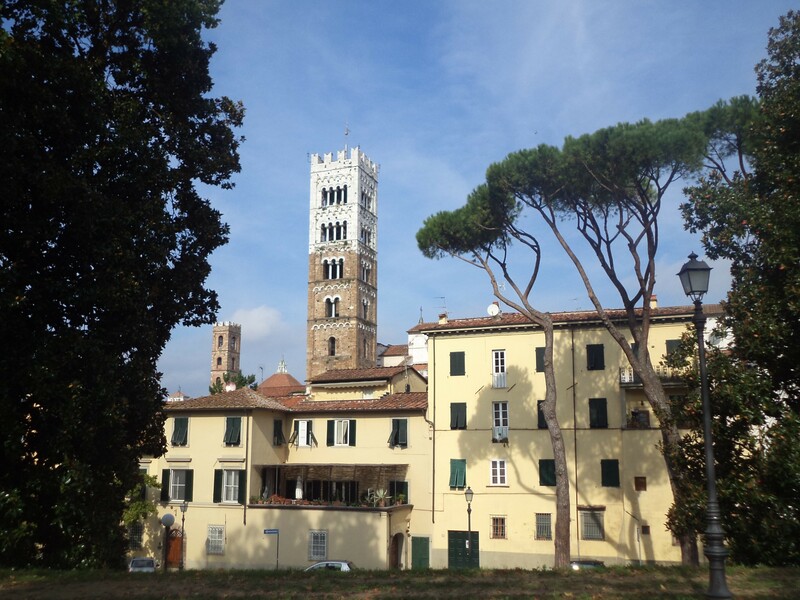 If you like climbing and panorama views you should reach Guinigi Tower – one of Lucca’s 14th century towers. 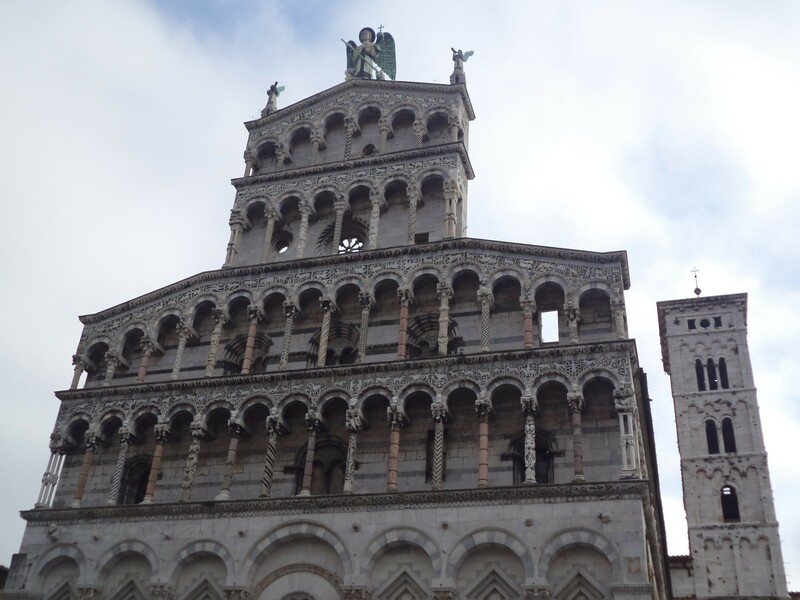 To see great views of Lucca it is necessary to overcome only 130 stairs. 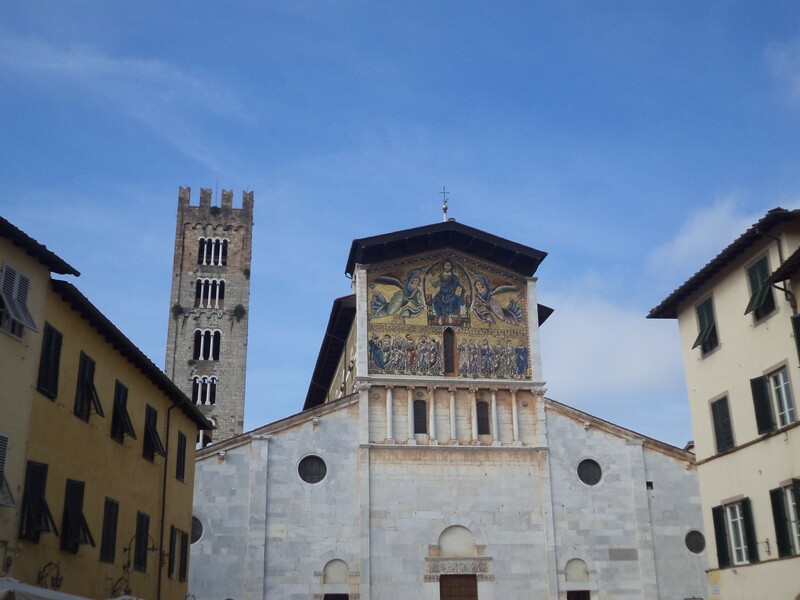 What is more and what you should know Lucca is a city of the famous opera composer Giacomo Puccini. That is why his home is now a museum with his piano, musical scores, and more Puccini memorabilia (Puccini House Museum). If you like shopping you will be absolutely not disappointed. 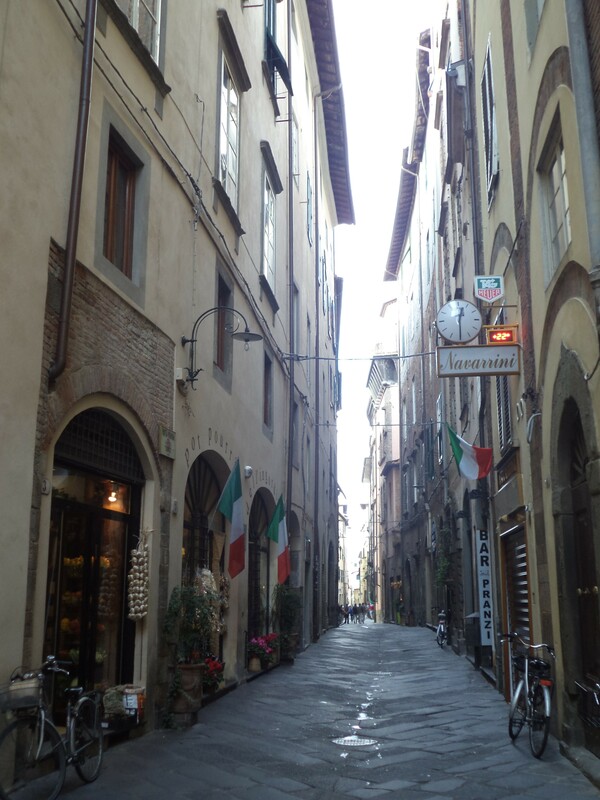 The historic city center of Lucca has many shops. A main shopping street is via Fillungo. Here you’ll find all kinds of shops, from food and wine to clothing and household items. 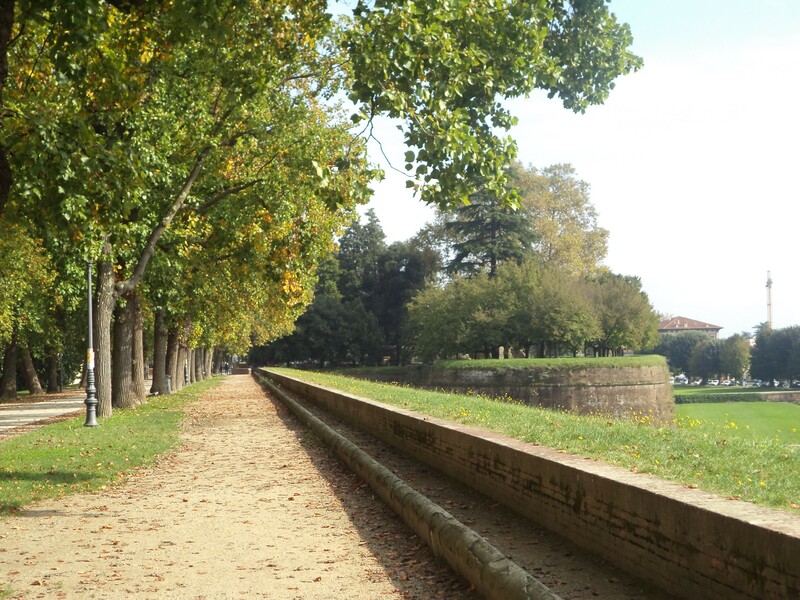 As you can see it is impossible to get bored in Lucca – city that has a lot to offer for everyone. Pantha Du Prince + Robert Henke/ Lumiere #2019SI ! 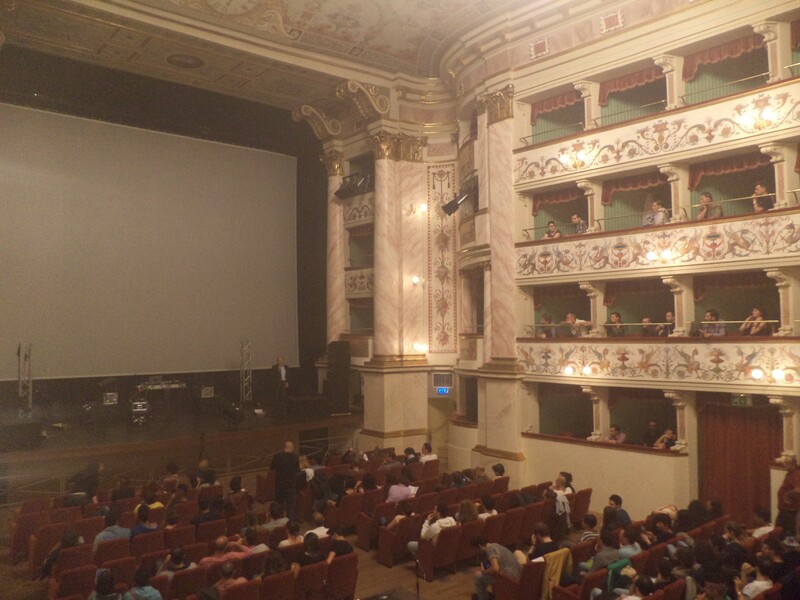 Yesterday we had an incredible opportunity to participate in the next initiative of Siena 2019, candidate city for European Capital of Culture – Alfa MiTo Club To Club Festival #C2C14. It was an exclusive evening in the prestigious premises of the Teatro dei Rinnovati, that is situated inside the Palazzo Pubblico (Piazza del Campo). 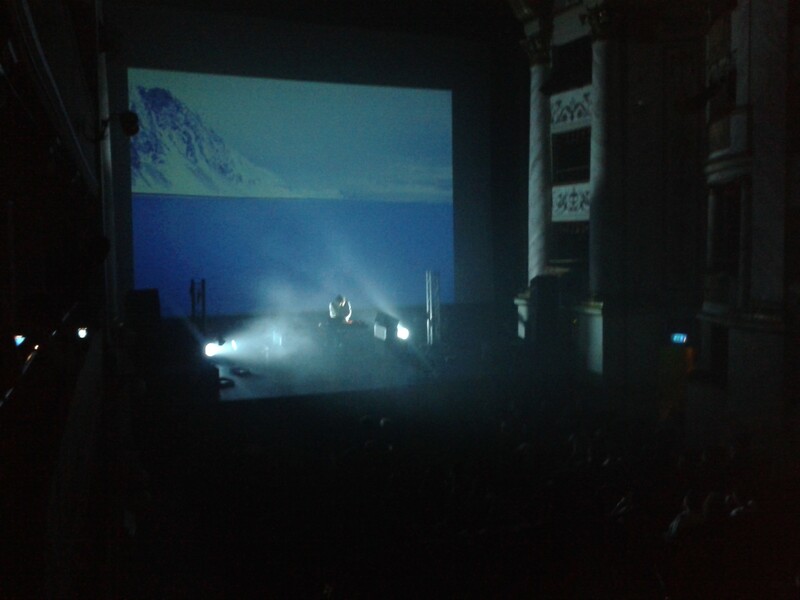 –	Pantha Du Prince – producer, composer and conceptual artist for Electro, Techno, House, Minimal and Noise – with his mix of house, techno and dreamy melodies. What is more entrance was free, with priority for those who made the booking. I was the lucky one that got ticket. Alfa MiTo Club To Club (http://clubtoclub.it/2014-en/about/ ) is amongst the most appreciated music, art and electronic culture festivals in Europe. It is called also as ‘’the best festival in Italy’’ and ‘’one of the most important in all Europe for electronic music lovers’’. 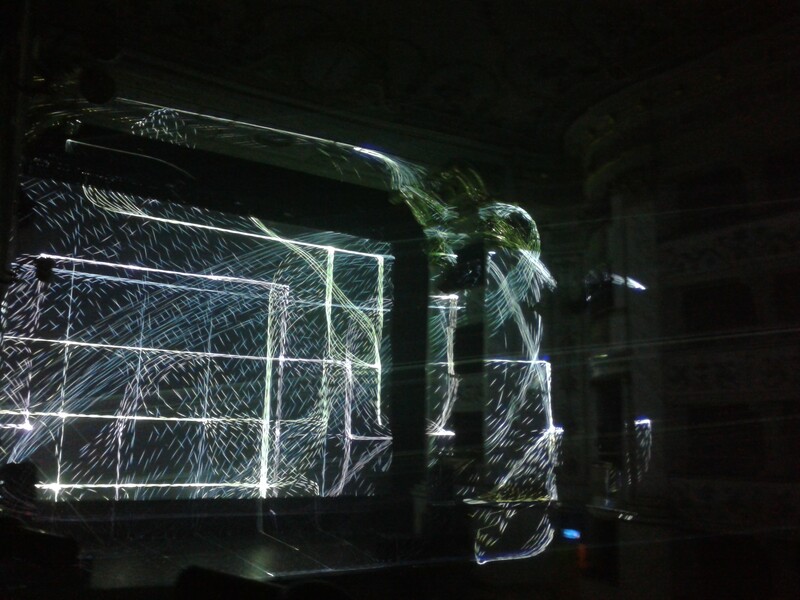 This year will celebrate its fourteenth edition #C2C14 that will take place in Torino from 5th to 9th November 2014, during the Contemporary Art Week. So if you are in Milano these days don’t miss this occasion! 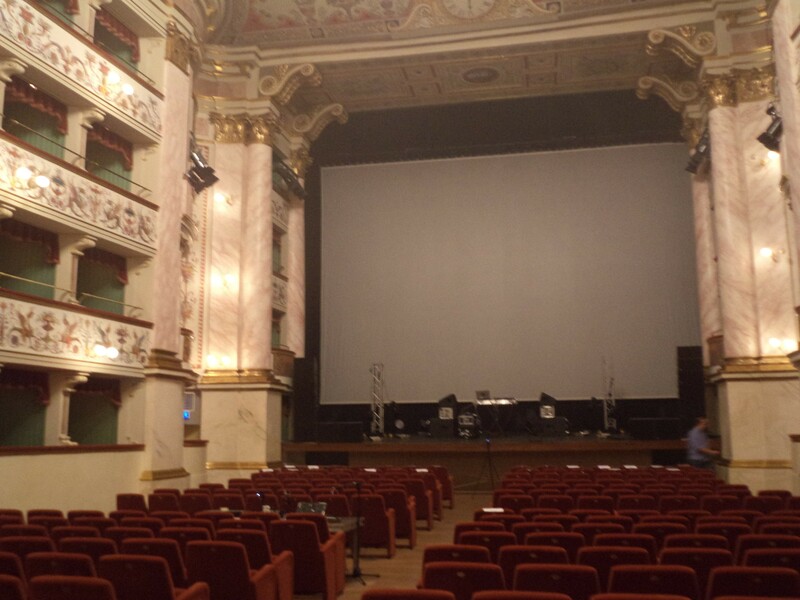 As you can see an event took place in unusual place – Teatro dei Rinnovati. Theatre was founded around 1560 by Bartolomeo Neroni. 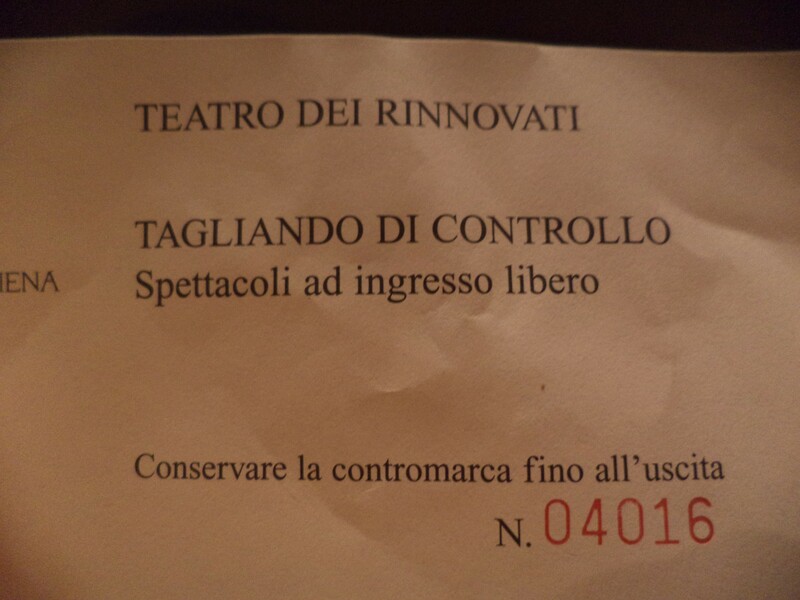 Today, thanks to a massive restoration’s project (that lasted more than five years), Teatro dei Rinnovati is back to its former glory. The works ensured the preservation and improvement of functional rehabilitation of the building, adjacent to the Palazzo Pubblico. The structure, now in line with the latest technology and safety standards of reference, is able to accommodate representations of prose and lyric, with over six hundred seats, distributed among the audience and eighty-eight boxes. The official opening of the new face of the Teatro Rinnovati took place June 3, 2009. 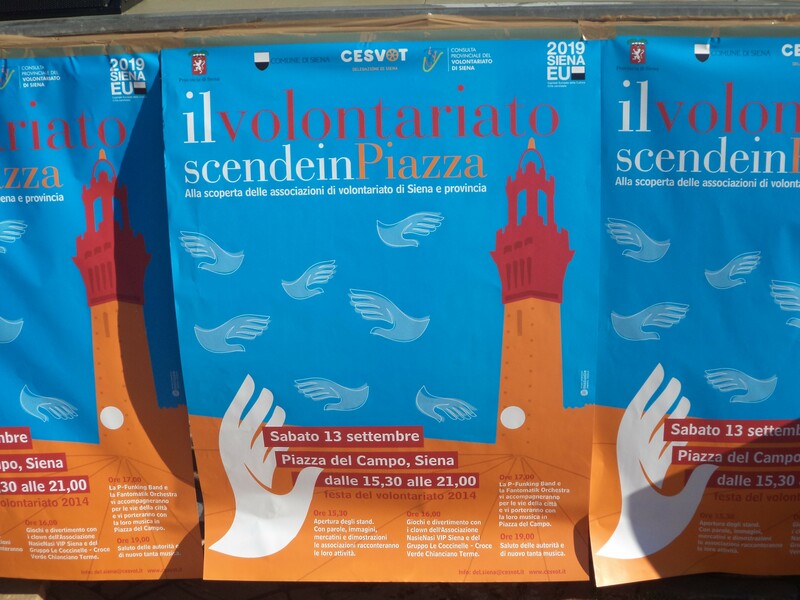 Il volontariato scende in Piazza – Festa del volontariato 2014 ! 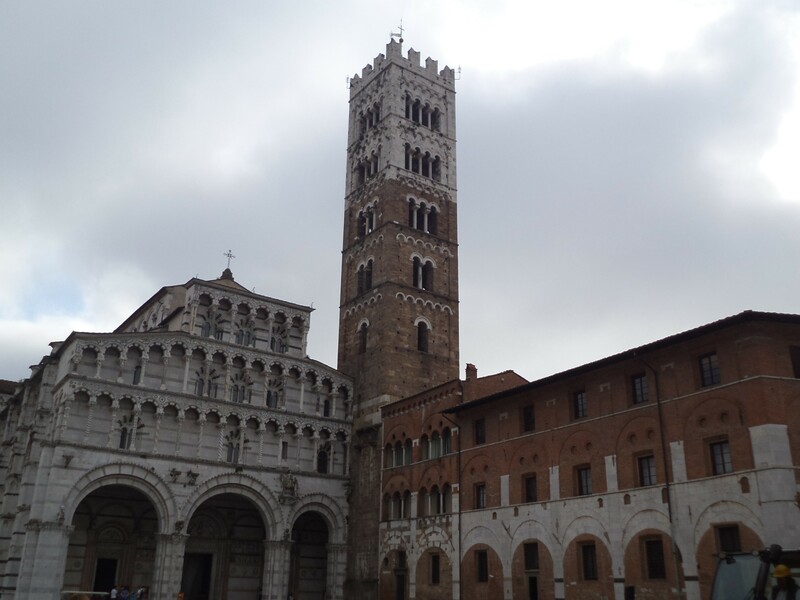 Is it possible to “measure” the heart of a Siena? That is for sure! 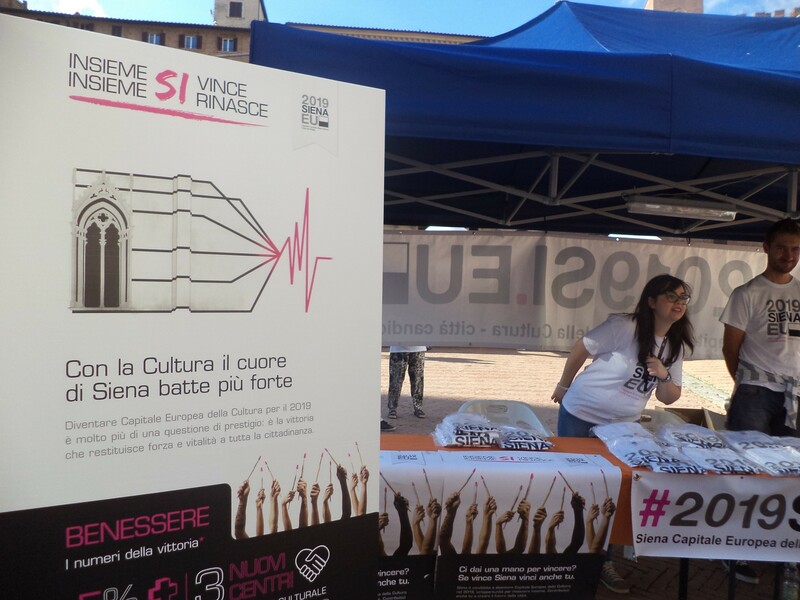 Just yesterday September 13th of course in the heart of our city – Piazza del Campo took a place – “Il volontariato scende in Piazza”! It was a great event that showed everyone how Siena is rich in people that spend their time for voluntary service. So do I since some time! And what you should know, it is really worth! 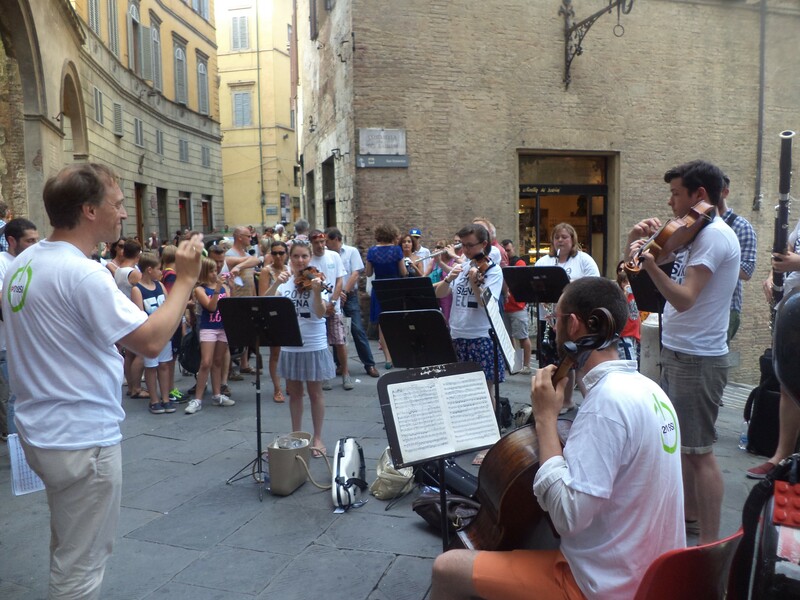 It was an afternoon of music and fun organized by The Cesvot – Delegation of Siena! And everything this was to discover voluntary associations of our city. Two street band gave concerts (between the booths set up in Piazza del Campo) that attracted a lot of local people and tourists. This of course on Piazza del Campo where, between markets and demonstrations, voluntary organizations had a possibility to showed their own everyday activities. 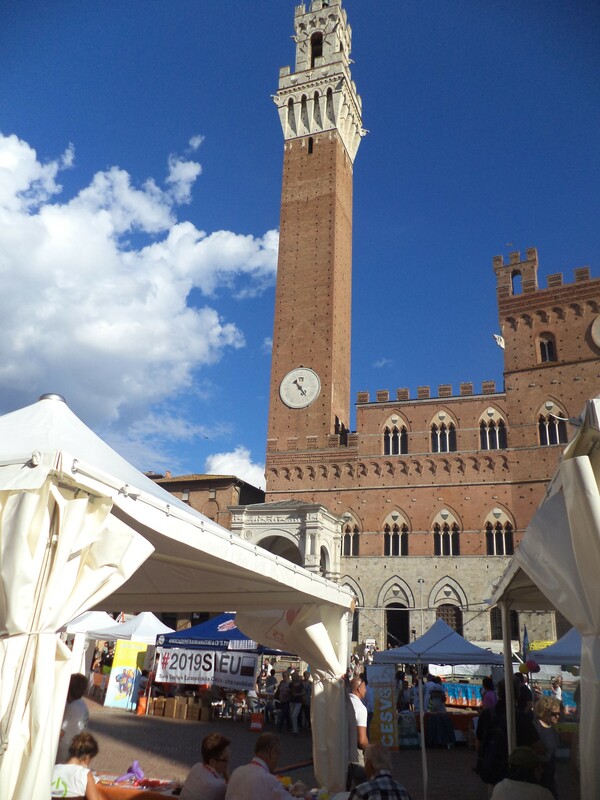 What is more also Siena 2019 Capitale Europea della Cultura – città candidata was presented with an information point. 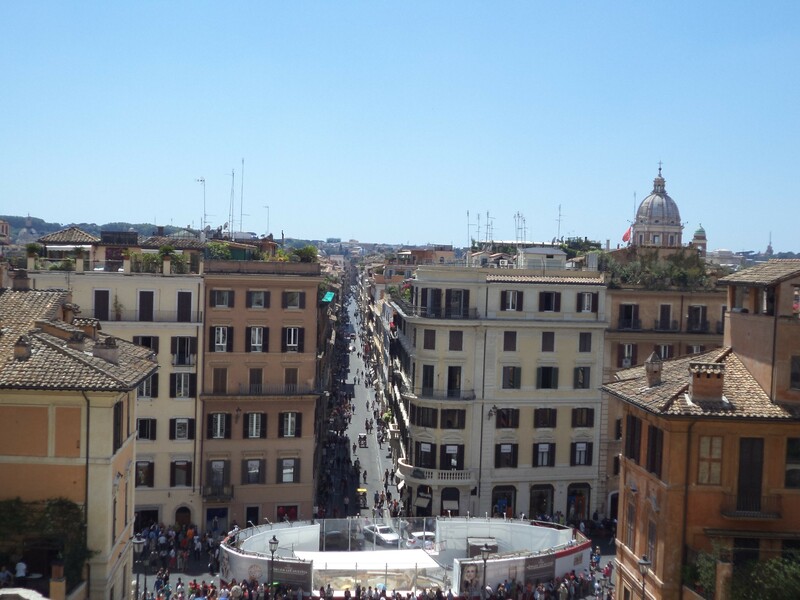 Tutte le strade portano a Roma ! Isn’t it so true that all roads lead to Rome !? As I wrote in ‘’ how to reach Siena’’http://justvisitsiena.com/about-siena-2/how-to-reach-siena-2/ one of the possibilities to reach my city is taking bus or train from Rome. The travel takes about 3 hours. 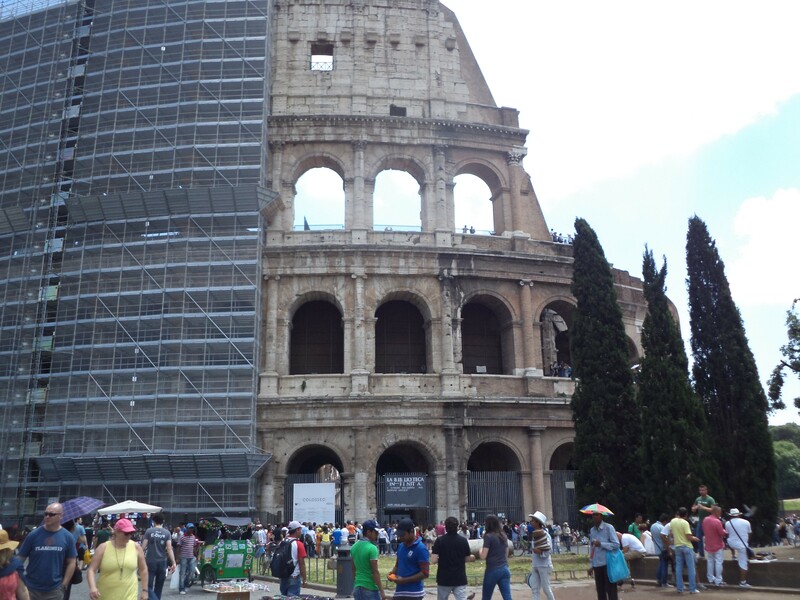 And I am sure that many of you use this opportunity to do sightseeing in the eternal city that is the capital of Italy. 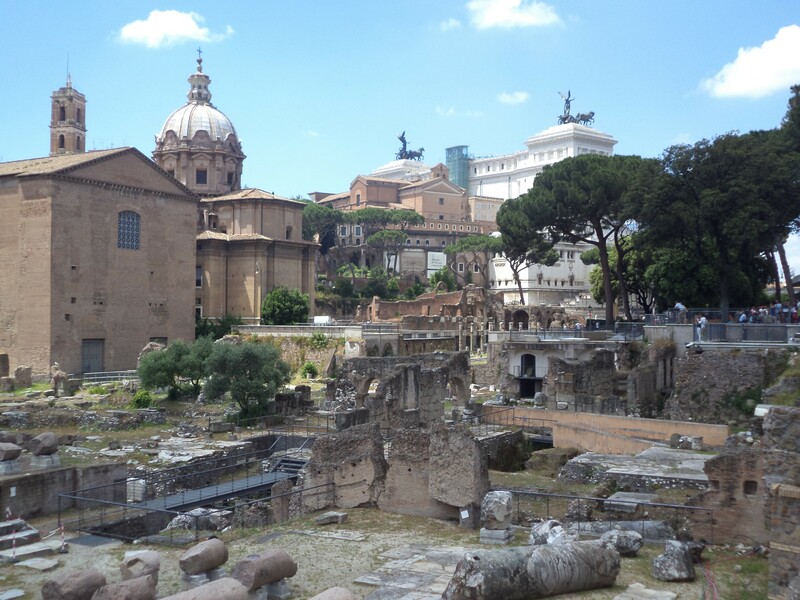 Every time I can’t take my eyes off the symbols of Rome: The Monument to Vittorio Emanuele II; Piazza del Popolo; Spanish Steps & Trinita dei Monti; The Trevi Fountain; Bridge of Angels; the Colosseum; Castel Sant’Angelo; The Pantheon; Vatican City; Roman Forum. Do you have the same ?! Concerto sinfonico per il 39° Cantiere Internazionale d’Arte ! 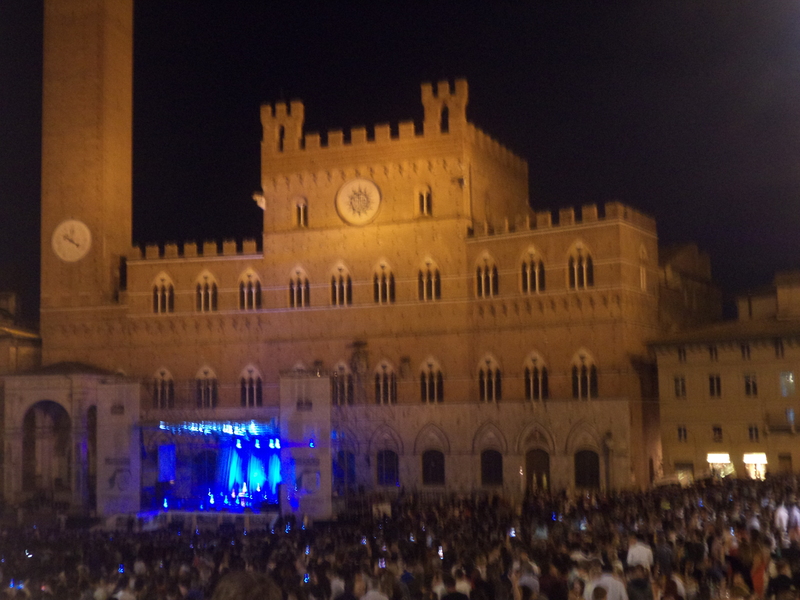 Saturday, on 2nd August at 21.30 was very worth to be on Piazza Duomo in Siena. And again everything was because of music (this time classical music). For the first time in the history of the Cantiere Internazionale d’Arte di Montepulciano the final act of the show was held exceptionally in Siena. 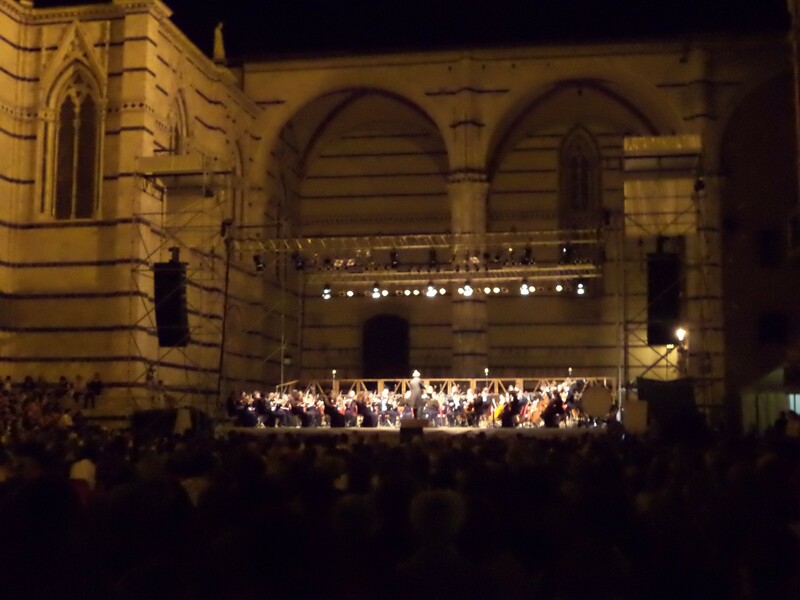 It was for sure an amazing event – symphony concert with 180 musicians conducted by Roland Böer on the occasion of the 39th International Art Workshop in support of the candidacy of Siena for European Capital of Culture 2019(http://www.2019si.eu/index.php/en/). That is why it was important to share the common goal of promoting a new European cultural perspective. Don’t forget that Siena is a candidate city for European Capital of Culture 2019. What you should know the verdict of the jury will be announced in October. So keep your fingers crossed for SIENA ! 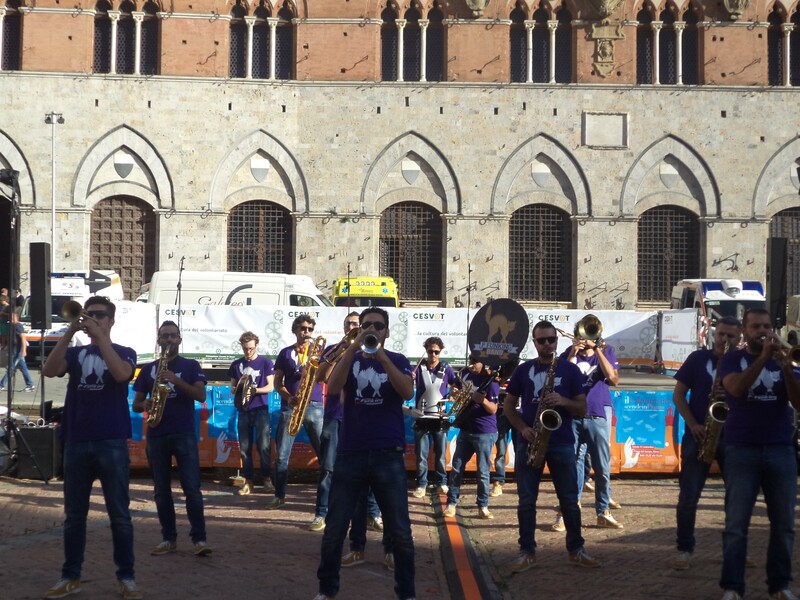 Our city was during the day surprised by some applauded flash mob organized by the team of Siena 2019 as well as performances of artists and musicians in various corners of the city. What is more during the concert audience got another surprise from FunDanza family (a cultural association that for 10 years worked for spreading hip hop culture in Siena) that showed an original dance performance to classical music. I am convinced that Saturday evening was the unique act of union for everyone who had a possibility to be there. 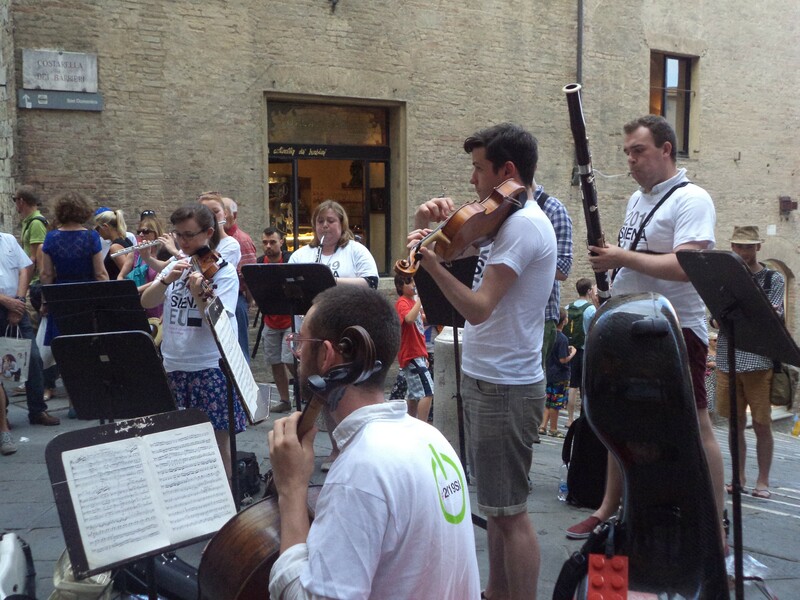 And again we had an event in Siena and again music! What is more important these days will be more music! Can’t be better? I don’t think so. 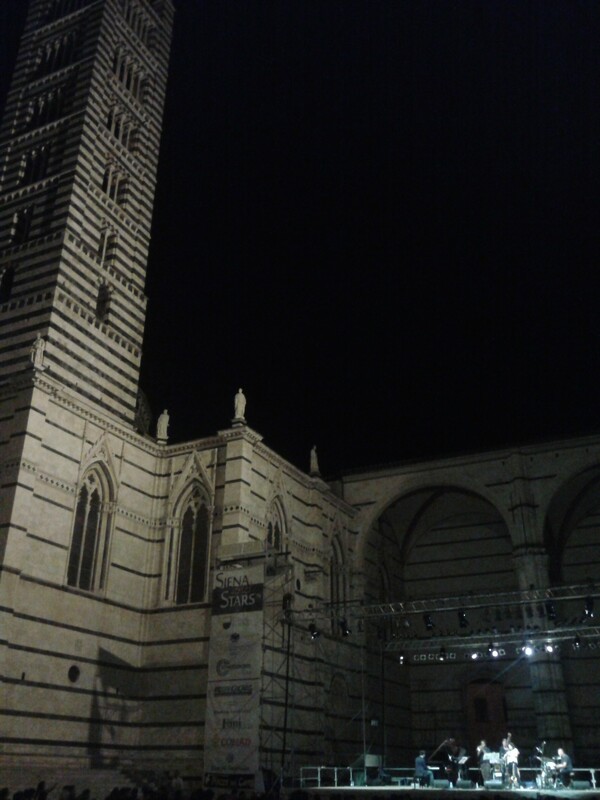 Just two days ago started Siena Jazz 2014 that will last till 7th August. Entrance for every event is free. I had an opportunity to be on Piazza Duomo yesterday evening. 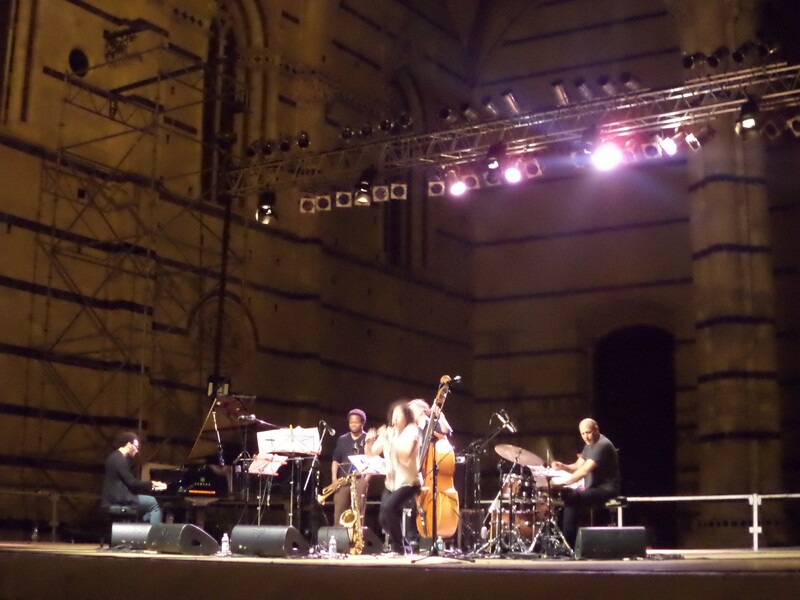 And without any doubts can write that it was a great concert: “Siena Jazz Masters 2014” with eight protagonists of the international music – Avishai Cohen, Mark Turner, Lionel Loueke, Jeff Ballard, Ambrose Akinmusire, Anat Cohen, David Virelles, Matt Penman. 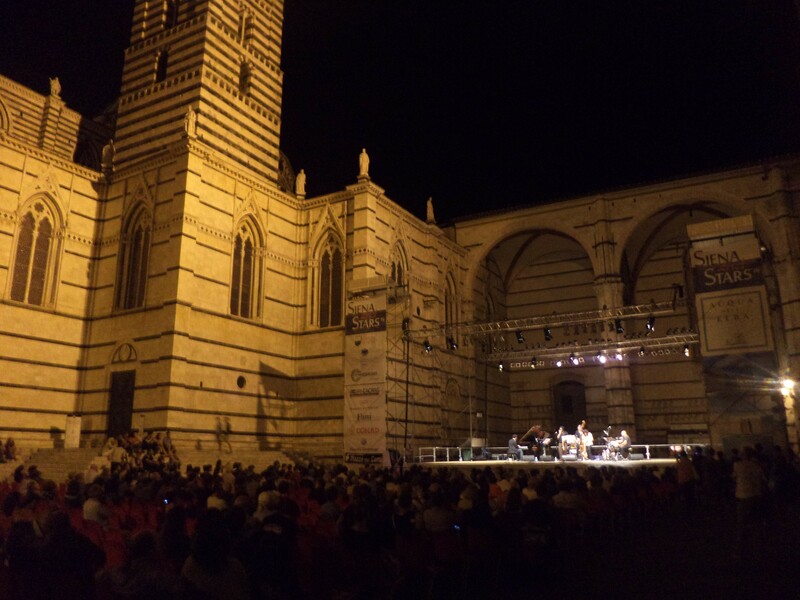 The concert was organized by the Siena Jazz Foundation, in collaboration with the festival “Siena and Star”. This for the 44th edition of the International Summer Seminars that brings together more than 30 faculty-Siena musicians from all over the world. 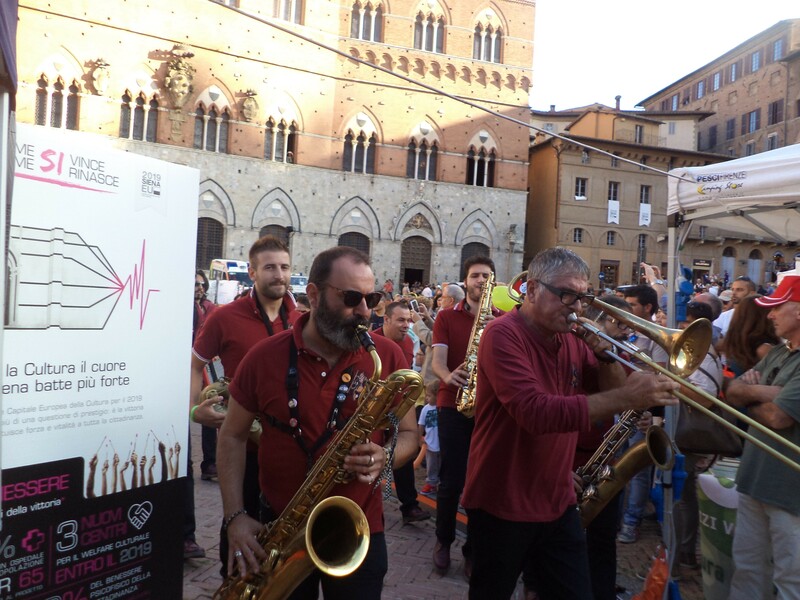 If you haven’t been there and seen this unique event in the magnificent setting of the Piazza del Duomo, maybe you will be able to see another concert Siena Jazz 2014. Just yesterday Antonello Venditti opened, with “70th/80th … BACK TO THE FUTURE” “Siena and Stars”, the summer festival which for the second year is a combination of the beauty of Siena and quality of the show. During this time until August 5 in the Tuscan town will give a concert many great guests inter alia: Goran Bregovic, Ambrogio Sparagna and the Orchestra Popolare Italian, Sonics, the dancers of the Teatro alla Scala in Milan, the Rome Opera Flamenco, Paolo Fresu, Enrico Rava and Siena Jazz. Beginning of festival with Antonello Venditti on Piazza del Campo (that exceptionally was with free admission) was a big party for Siena and gathered amazing crowd of fans. Next unique opportunity will be for fans of Franco Battiato (Sicilian singer-songwriter) and will take place on 15th July in Piazza Duomo. Program and more information about this big festival you can find here http://www.sienaandstars.com/it/#.U8DrG5SSxPI. 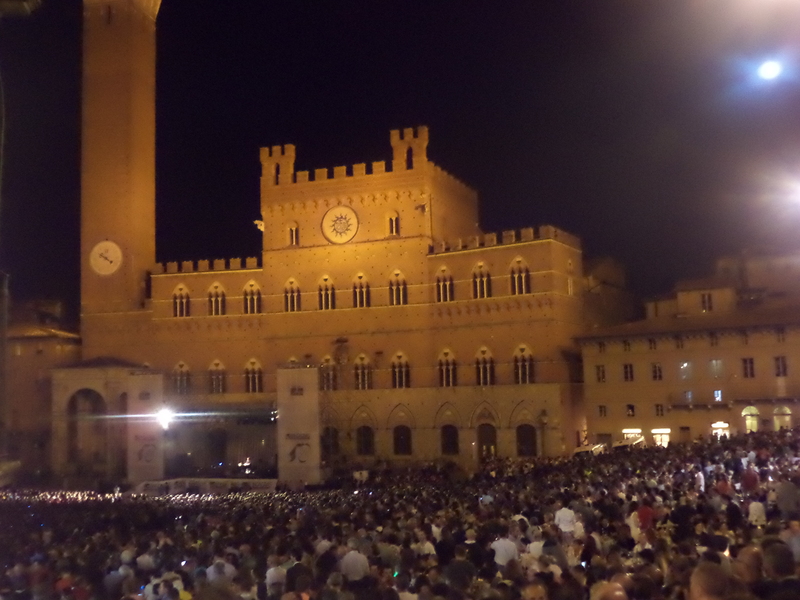 And at the end let me show you yesterday with such a huge crowd on Piazza del Campo! Have a sunny weekend 🙂 ! Buon Natale A Voi :) ! !